This 23rd biannual premier fashion event will take place in Mumbai during August 20-24 2014 at Palladium Hotel, Lower Parel from the usual venue at Grand Hyatt. 86 designers and 17 sponsors to participate in LFW Winter Festive, in it's 15th year to bring forth the best of the fashion industry through innovative and exclusive collaborations. I attended the curtain raiser and press conference of the sane early this week and was quite pleased by few designers who unveiled their plan for Red carpet with their muses. Needless, to say, the collections looked promising and the platform, even bigger. I was pleased to see celebrated designer and my all time favorite Manish Malhotra who is going to lead the grand finale of the season with his muse, Kareena Kapoor, showcasing the Lakme Absolute Gloss inspired Bridal Trousseau couture. 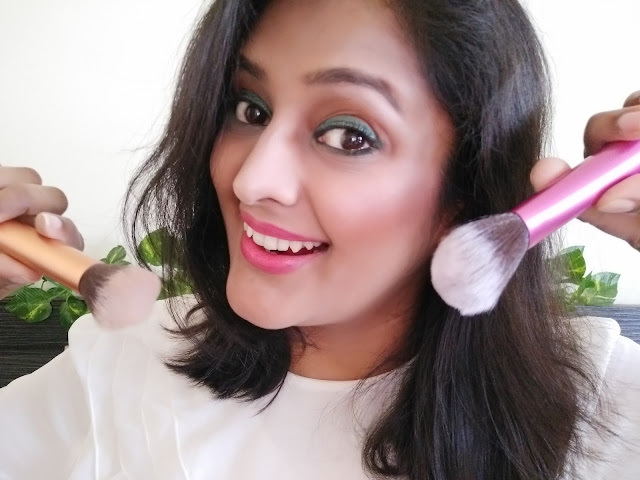 Ummm he has teamed up with ace makeup stylist Cory Walia and Lakme Make up Expert Daniel Baucher to create gloss looks on models at the grand finale. Well, that's grand finale but for opening, DHL has roped in young vibrant designers Masaba Gupta and Amit Aggarwal. The curtain raiser was studded with some popular designers like Anita Dongre, Krishna Mehta, Nikhil and Shantanu, Payal Singhal, Priyadarshini Rao, Anju Modi to name few. LFW is all set to showcase the best of Pakistani Fashion on Indian Ramp PoPXo.com and Hello! Pakistan has come together to present designers like Faiza Samee, Rizwan Beyg, Sania Maskatiya, and Zara Shahjahan. INIFD will be the official knowledge partner for Lakme Fashion week for this 11th consecutive season and will present the Gen Next show at LFW WF 2014.
the LFW WF will see the launch of international high street fashion brands- River Island and Miss Selfridge. High street Fashion reminded me of my own stint at the Lakme Fashion Week Summer Resort, earlier this year. 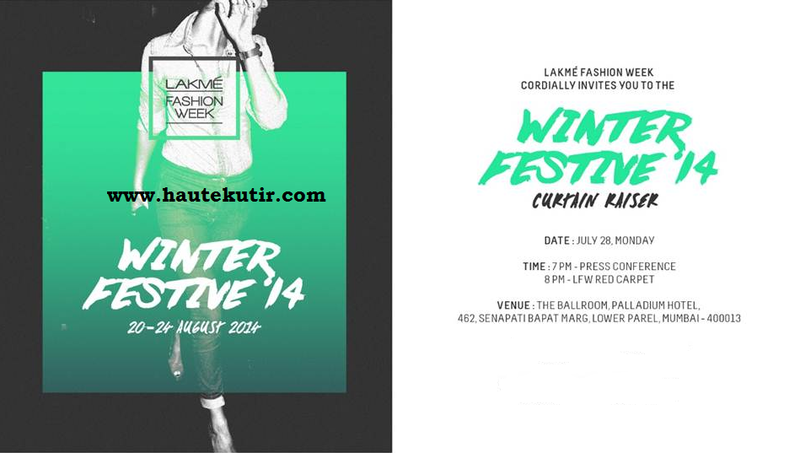 To know more, check here- Haute Kutir on Lakme Fashion Week. The event also had Head of Innovation at Lakme- Purnima Lamba who looked resplendent in a blue sari, shared her views on Lakme' role is bridal Trousseau and way forward. The venue, the ballroom and the panel for the press conference including sponsors like DHL, Jabong, INIHD, Lakme and Palladium hotels. 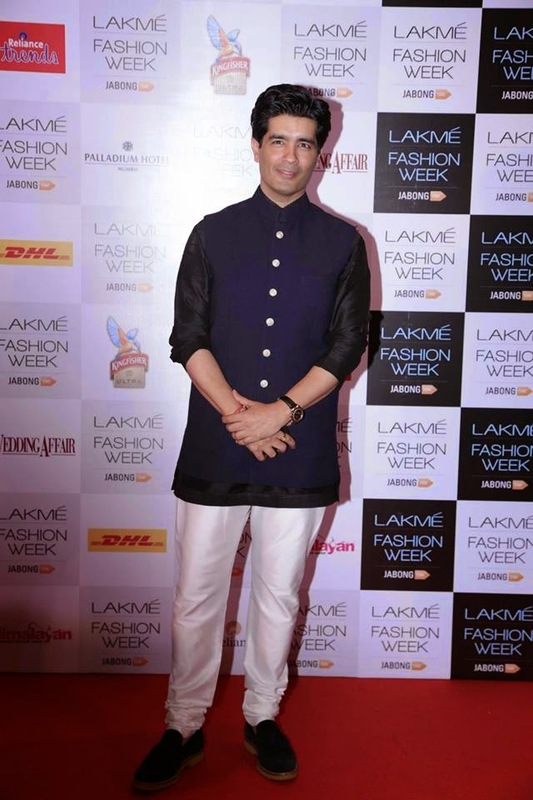 The effervescent Manish Malhotra who answered all the questions including "what took him long to collaborate with Kareena on LFW", very gracefully, calmly. Ujjawal Dubey with Kabir. I loved their rustic yet stylish cuts for the men' fashion. I would be very keen to dekko more of their work and possibly buying one. 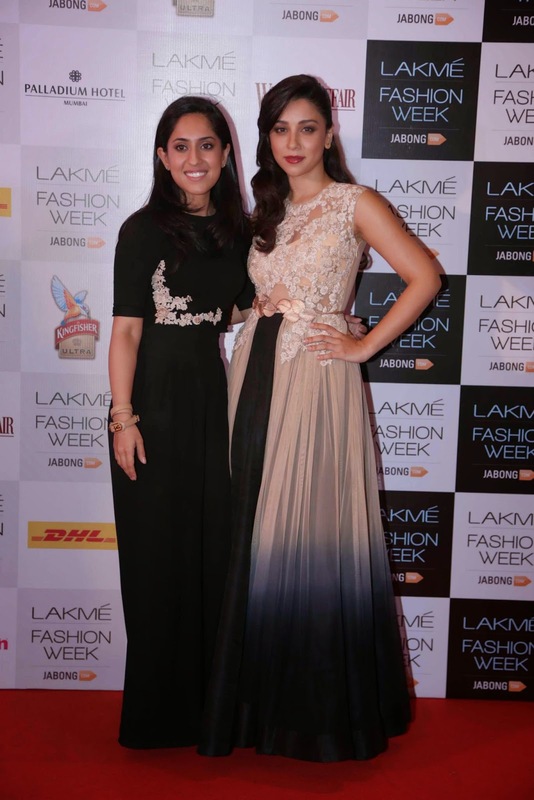 Neha Agrawal was also there with her porcelain-like gorgeous muse, Shriya Sharan. 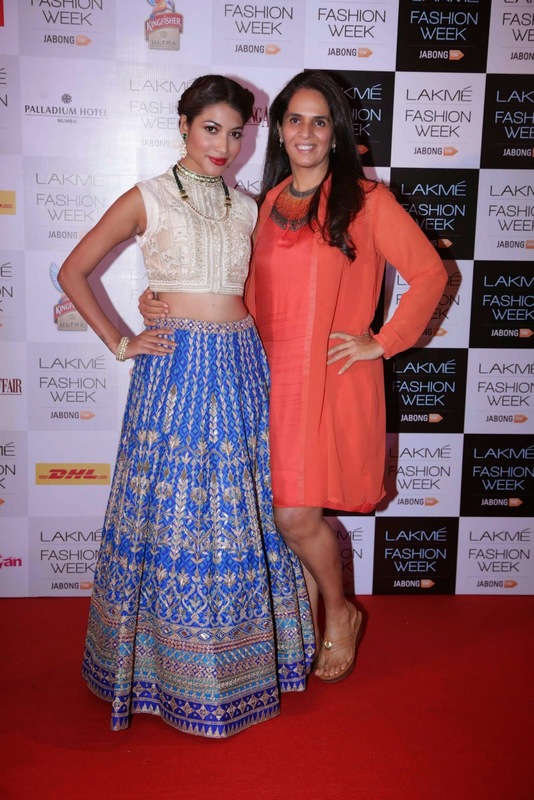 Not to forget, the interesting and promising Masaba Gupta, who will be doing the opening of the LFW WF. I am quite excited for the Winter Festive and await my accredition. 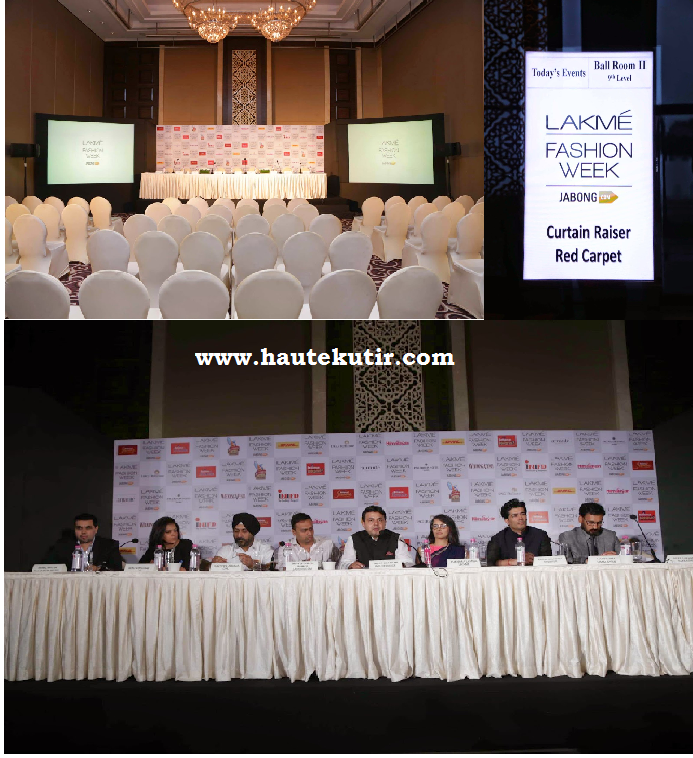 Let's watch out this space for more updates, takes, and circulars on Lakme Fashion Week. 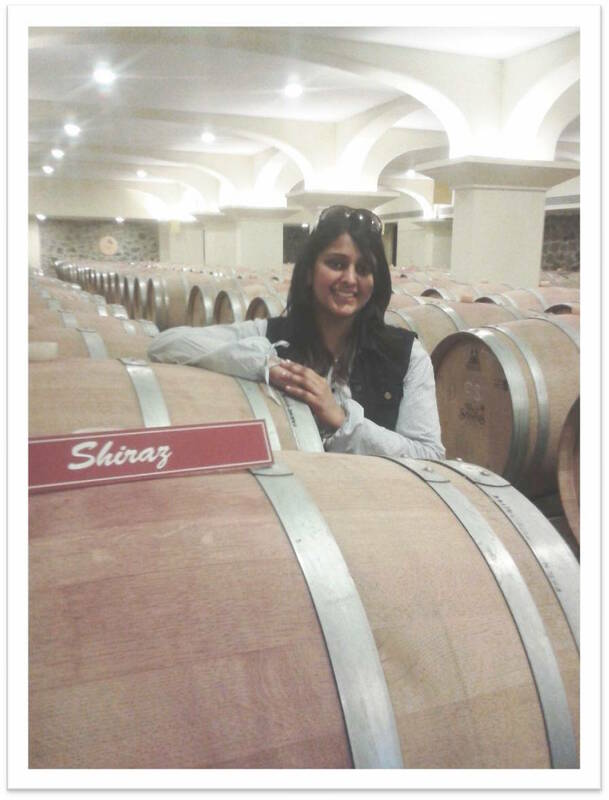 Till then, keep loving, keep following #HauteKutir. You can also connect to my instagram and twitter account for further updates and some other exciting latest greatest news, clicks and quotes from LFW. See ya there folks and princess! A grand event and lovely pics ,,, attending a fashion week.. wowww .. between wats this muse things .. cud u plz tell me abt it.. and who is this lady in the last pic (b/w dress) ..is it u ? ?